There are many ways that you can capture the mice that may be pestering you; however, you have to do everything possible so that the animals do not suffer. There are many people even now who do not use poison because it is known to be a cruel method to dispose of mice, but they still use glue traps, which are also quite inhumane. The best part about glue traps is that they are normally cheap and you do not need to have anything else besides a piece of cardboard, the glue and some food to use like bait. However, few people think about what such animals go through if they are caught in the glue, and this is actually the cruelest method of getting rid of mice or rats. When the mouse gets caught in the glue, it will try to get free on its own and it will be suffering during this entire process. 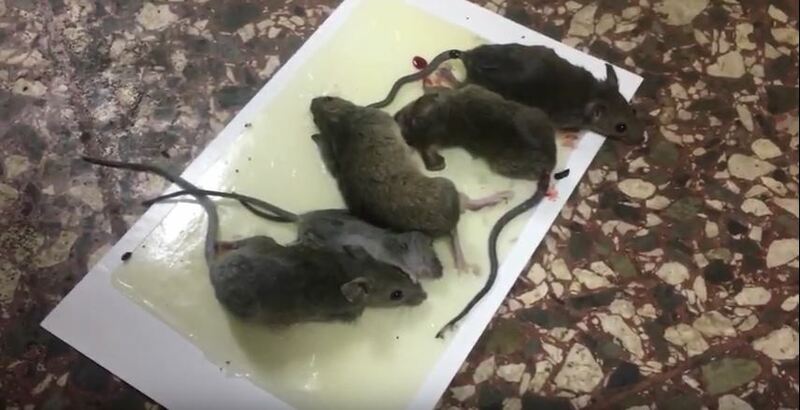 The glue traps which are being sold say that the trap should be disposed of with the animal that it caught, and this will mean that the animal is going to die from starvation or possibly suffocation. When you have pity on the animal and try to free it, you will damage its limbs and you can tear off the fur. Among the faults of the glue traps is that they do not choose their target and so other animals can get stuck on them, and it will be very difficult to remove them. When you decide to use such a trap, you need to be very careful since the mice can empty their bowels on it if they are not removed quickly. This will expose people to the risk of contracting some serious diseases. You have to carefully consider the many options available and decide on what will work best for your situation. However, despite their cheap price tag, you should always avoid using glue traps at all costs because they are the most inhumane and worst method that you can use to deal with a mice infestation.